Successfully Added Geeetech Rostock 301 Mix Color 3D Printer - 3 Color Support, Use Different Filament At Once, Large Volume, 0.1mm Precision to your Shopping Cart. The Geeetech Rostock 301 Mix Color 3D Printer is a stunning gizmo that lets you print up to 3 different colors and filaments at the same time. Thanks to this, it brings along high efficiency and lets you create multi-color objects without encountering any trouble. By using merely one 0.4mm nozzle, it treats you to very smooth results. Your different colors will blend together perfectly and even when using different filaments your 3D printed item will have a gorgeous finish. If you are an artist, hobbyists, or professional that is looking for a high-end 3D printer, this electronic gadget is perfect for you. The controller board of this 3D printer is powered by STM32F103. It uses the cortex-M3 core with a maximum CPU speed of 72HMz. Bringing forth high precision and printing speeds up to 120mm per second; this 3D truly lets you create stunning objects in absolutely no time. With a maximum printing height of 230mm and diameter of 170mm, the Geeetech Rostock 301 Mix Color 3D Printer won’t limit you to printing small objects. No matter your artistic demands, this high-end commercial printer is sure to meet them. As a DIY kit, this kit offers you the opportunity to build your own 3D printer. It comes with a detailed user manual and component list that makes it easy to assemble. Components are crafted out of high-end and lightweight aluminum. This makes your 3D printer light in weight and easy to move around. Thanks to its compact design, it is a perfect gadget to be used for both commercial and private purposes at home or in a small workshop. 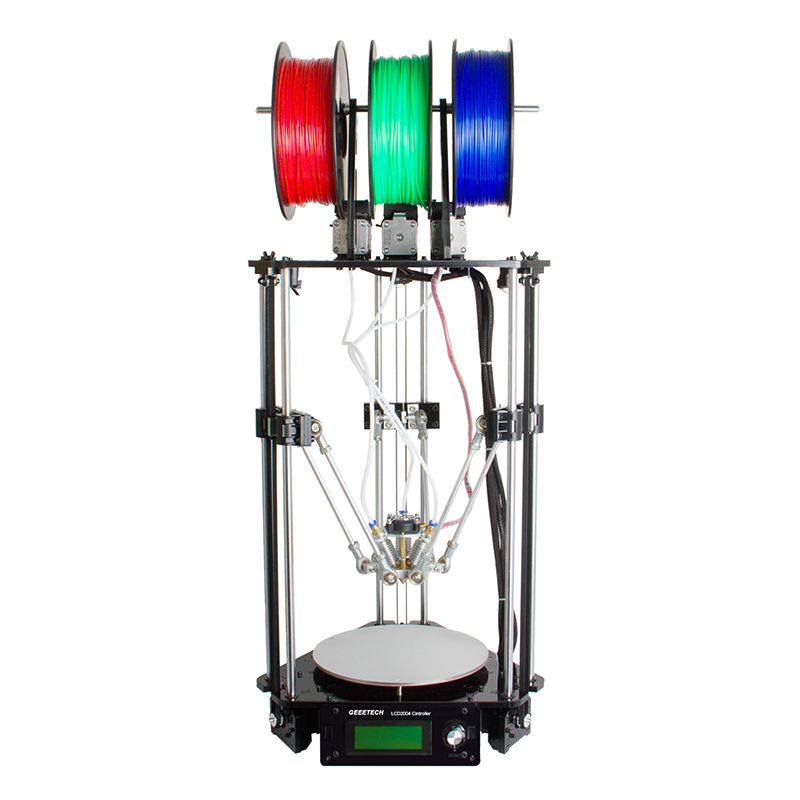 Your 3D printer supports ABS and PLA filaments and offers you the choice to use 1, 2, or 3 colors at once. With a 0.1mm printing precision, you are guaranteed to be treated to highly detailed end-results. It supports an abundance of media files including G-code that can be inserted via its SD card slot. 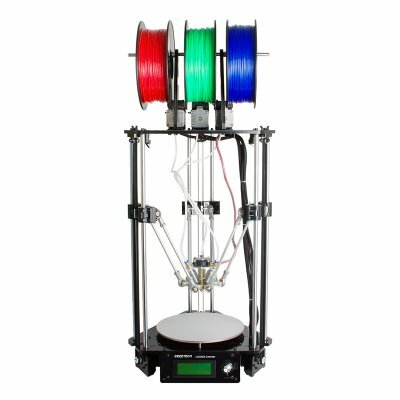 This DIY 3D printer kit is the ultimate gizmo for all of you that wish to explore the unlimited world of 3D printing in a unique and affordable manner. The Geeetech Rostock 301 Mix Color 3D Printer comes with a 12 months warranty, brought to you by the leader in electronic devices as well as wholesale 3D printers..